I would see big carp swimming around the trout lakes at the farm and they would always make my heart skip a beat. 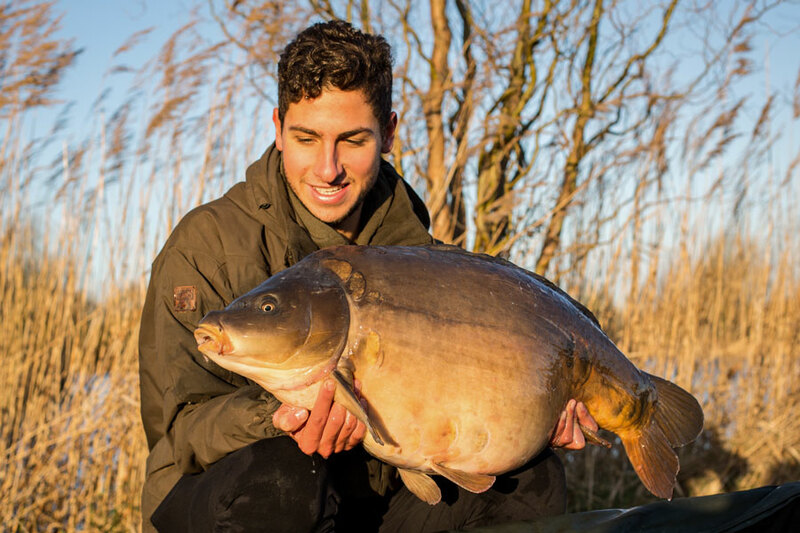 Ori Sharon, also known as The Joburg Carper, had a once in a lifetime opportunity to work for Nash Tackle during December last year and was even lucky enough to fish Kevin Nash’s renowned Church Lake. We got in touch with Ori to find out more about his overseas exploits. Where did your interest in angling start? I discovered fishing at the age of five. A family friend invited my family for a day at the Rainbow Trout Farm and instantly I loved it. Being the only one in my family with this passion over the years I had to beg and do whatever I could to get on more fishing trips. This all changed once I got my driving license. When did you start fishing for carp? I was always fascinated by carp. I would see big carp swimming around the trout lakes at the farm and they would always make my heart skip a beat. 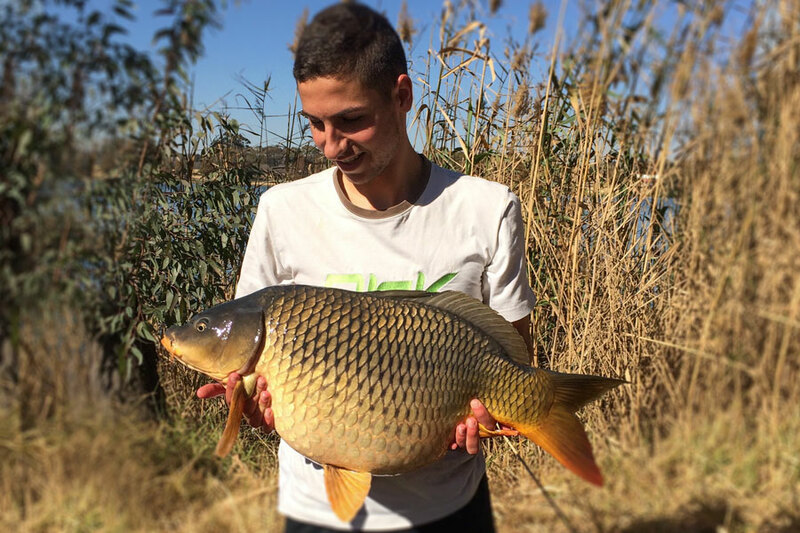 I caught my first carp at the age of 10 using conventional tactics. My biggest inspiration would be Alan Blair. His first Urban Banx YouTube video changed my whole perception about carp fishing. He is a talented thinking angler who has caught some amazing fish. When you arrive at a venue, what is the first thing you do? I find it extremely useful to watch the water as the fish can often give themselves away. This can result in a quick bite. What is your favourite rig regardless of conditions? My favourite rig would be a standard bottom bait rig fished with a critically balanced hookbait. Personally, I prefer fishing with mono when I can. However braid has its uses – I find it useful when the crabs are active or when fishing at long range. If you had to only use one type of bait for the rest of your carp fishing life, what would it be? I think it would have to be boilies. They are extremely versatile and are very attractive to carp. I do not have a favourite boilie flavour. However, in South African waters I find nutty baits such as Dynamite’s Monster T or Pineapple Tigernut Crunch to be effective. My main strength would be my persistence with the sport. Lots of dedication and hard work can be required to catch a big carp. How did you organise working for Nash Tackle? I was planning to do some work experience for a finance company during the university holidays. However, I couldn’t resist sending Nash an email asking if they had any jobs available. They responded saying they could use my help as they had recently purchased a new day ticket lake and were moving factories. General maintenance around the Church and Copse lakes as well as help with orders in their new factory. 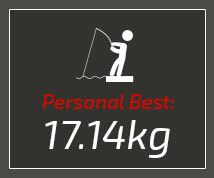 You were lucky enough to fish Kevin Nash’s renowned Church Lake and managed to catch your new personal best. What rig and tactics did you use to land the chunk? I was lucky enough to be allowed a two-day session on the Church Lake. I was optimistic even though I had not seen one Church Lake fish landed over the period of my stay. I fished a pink Nash Citruz popup on a stiff hinge at a clear spot in front of a water pump. I fed a couple handfuls of a combination of the new Nash Key Cray mixed with Citruz boilies. The bite came at 10PM on the second night which resulted in a large leeched up mirror. This showed the fish had not been active due to the cold conditions and I was fortunate to get the bite. 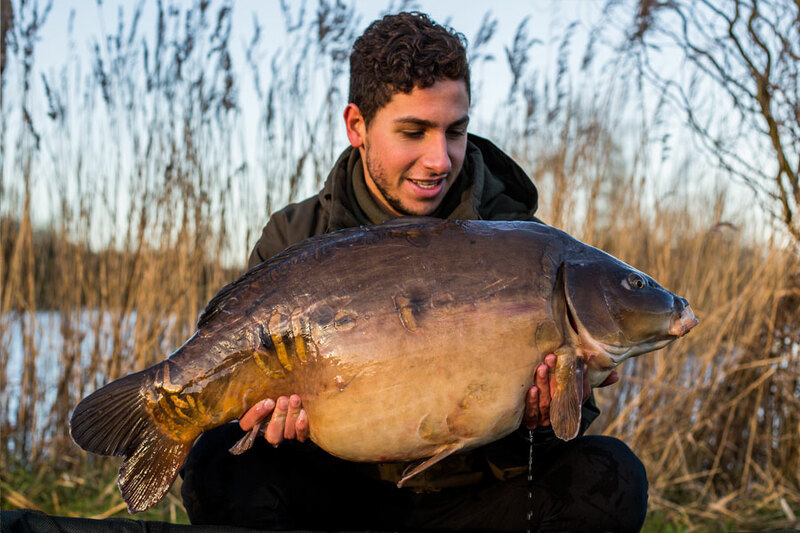 Can anyone fish Church Lake or do you need to be part of a syndicate? Anyone who used to be allowed to fish the lakes would do so on an invite only basis. However, the lakes are being opened for bookings to the public this year. The lake is relatively small (4,7 acres/1,9ha). In your opinion, does the size of the lake make it more difficult to catch (because the fish are wary) or does it make it easier (because it gives the fish less space to roam and hide)? I think that this will depend on the lake. However, in some smaller lakes, such as the Church Lake, the carp know their environment extremely well. This, in turn, can make the fish wary and difficult to catch as they know when something has changed. What would you say is the main difference between fishing local waters versus fishing abroad? Firstly, I would have to say safety; it was a real pleasure to fish some of the beautiful UK lakes and sleep alone with no worries. Secondly, the UK lakes, which are looked after extremely well, make really large and beautiful carp accessible to the common angler. Lastly, I believe it is more difficult to catch carp due to the sheer amount of pressure that the UK fish are exposed to. Not to mention that every angler is using extremely advanced tactics and quality bait. 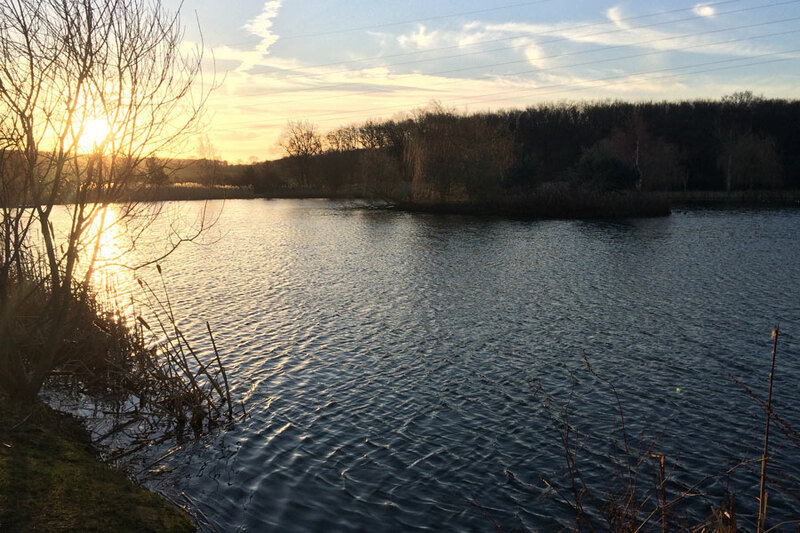 Have you set any specific angling goals you’d like to achieve this year? Yes. I have a winter campaign planned and ultimately will be looking to better my PB with a big South African common. If you had to give one piece of advice for anyone wanting to fish abroad, what would it be? I would recommend anyone not to be shy and ask the local anglers for help or advice. I have found most of these anglers to have been great people and extremely helpful. We really enjoyed chatting to you Ori and wish you all the best. Look forward to hearing about more overseas adventures in the near future!